Do you suffer from dry hair or dry scalp? Whether these conditions have been caused by over-processing, or whether they're something you've lived with all your life, you've probably tried every product that's ever been made. Before giving up in frustration, you owe it to your hair and your scalp to try just one more product. It's a product that you might not have previously considered trying, or maybe it's one that you did not even realize existed. What is this product that will work miracles on your dry hair? It's hemp shampoo and it's made from the rich oils found in the seeds of the hemp plant. How can hemp seed oil help? To better understand this connection, it's important to know more about the properties of the hemp seed. The first thing to realize is that the hemp plant has been around for centuries and throughout history, various civilizations have discovered a variety of different uses for this plant. The hemp seed itself contains a significant amount of protein, second only to the soybean. The oils of the hemp seed contain several of the essential fatty acids (80%) the body needs including alpha-linolenic acid, Omega 3 , gamma Linolenic acid Omega 6 and stearidonic acid. It means shampoos and conditioners made with oils from the hemp seed are terrific moisturizing agents because they help restore the cells that have been damaged by harsh chemicals, excessive perms, bleaching, coloring, and even by other excessively harsh hair care products. When you use a shampoo made with hemp seed oil, the end result is hair that not only looks and feels healthier, it literally is healthier. These products are no joke! In fact, there's an entire industry devoted to utilizing the full benefits of hemp seed oil. These products are being used by individuals who want organic products containing ingredients that have been proven to make a difference. The moisturizing properties of the fatty acids found in hemp seed oils truly help dry scalp and hair by increasing the scalp's capacity to retain more of its natural moisture. Shampoos made from hemp seed oils help sooth and even restore skin that is dry or damaged. 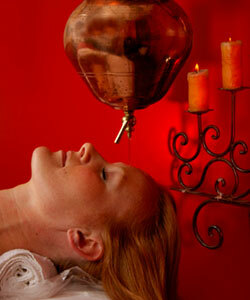 So put an end to the uncomfortable feeling you get from your dry scalp and hair. 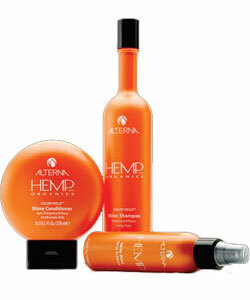 Start using hemp seed shampoos and conditioners and soon your hair will look and feel better. It'll be shinier and more manageable. Did you know that hemp plant, also known as cannabis sativa is the same as marijuana. The big question in consumers' minds is whether hemp seed oil used to make beauty products and a smokeable marijuana are from the same plant. The fact is that they are different varieties of the same species, according to industry experts. The difference is that drug-grade hemp contains high levels of Tetrahydrocannabinol (THC), which is psychoactive, while industrial hemp (the one used in beauty products, shampoo and conditioners) has so little THC that it's virtually drug-free. Therefore, any beauty products containing hemp are free of illegal substances, according to the companies.